Together with students and young journalists from Belarus, Poland and Germany we want to investigate public opinion and feelings during the period of the Belarusian parliamentary election in September 2016. 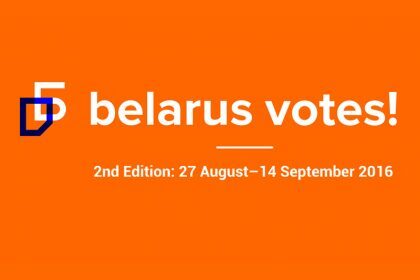 Therefore we will conduct the second edition of our trilateral project “Belarus Votes” from 27 August to 14 September. We plan to equip 12 participants, four from Belarus, Germany and Poland respectively, with knowledge and experience in journalistic writing, political analysis and election observation. With the assistance of an experienced editorial board and trainers, couple with practice through several workshops and tutorials, you will write articles in English and create photo stories, as well as use new media (such as Storify, Periscope or Twitter). In small international teams, you will research various topics regarding the parliamentary election and the current situation of civil society and human rights in Belarus. Your outcome will be presented on the project website belarus-votes.lphr.org and on our Twitter channel.